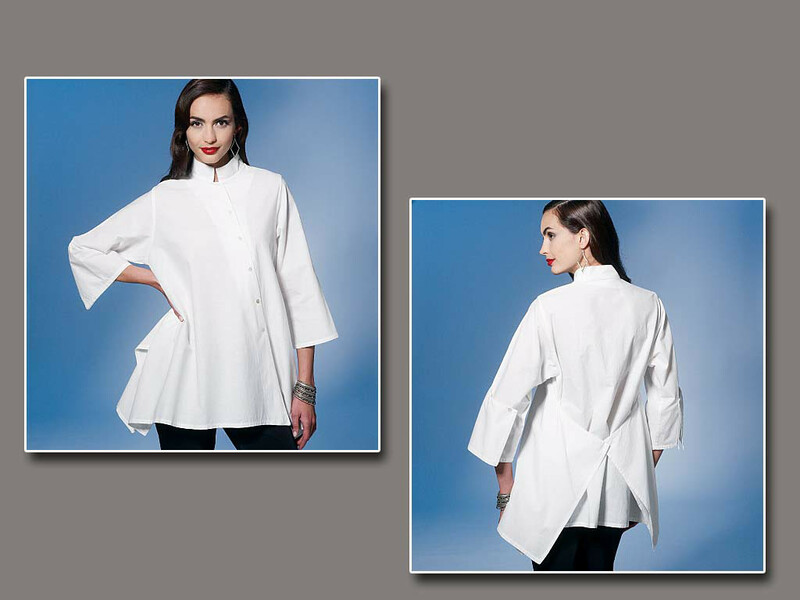 MISSES' TOP: Very loose-fitting top has collar, low armholes, asymmetrical button closing and three-quarter length sleeves with button drape. Narrow hem. 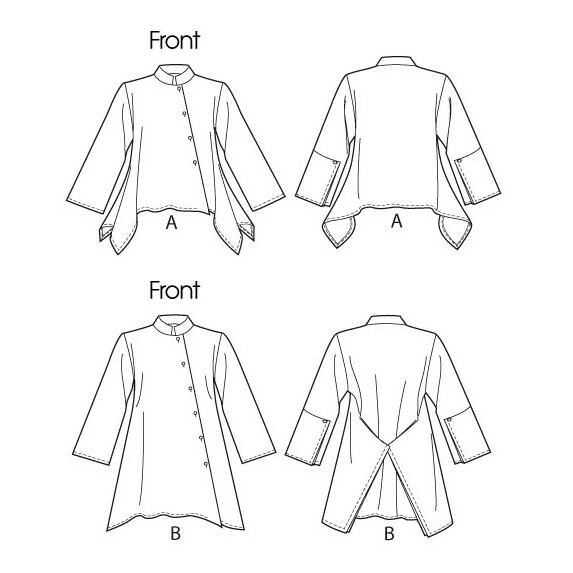 B: back-buttoned drape. Front, back and sleeves extend into drapes.